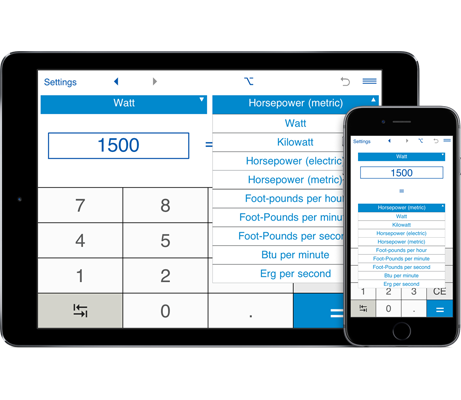 Power Converter is an application that lets you convert between US, imperial and metric power units: watts (w), kilowatts (kw), electric horsepower hp(E), metric horsepower hp(M), foot-pounds per hour (ft-lbf/h), foot-pounds per minute (ft-lbf/min), foot-pounds per second (ft-lbf/s), btu per minute (btu/min), and erg per second (erg/s). You can use the power converter to convert between US, imperial and metric power units. For example, you could convert from kilowatts to horsepower, from electric horsepower to watts, etc. "Flip" button lets you easily switch between the "from" and "to" units. Power converter supports fractional values.